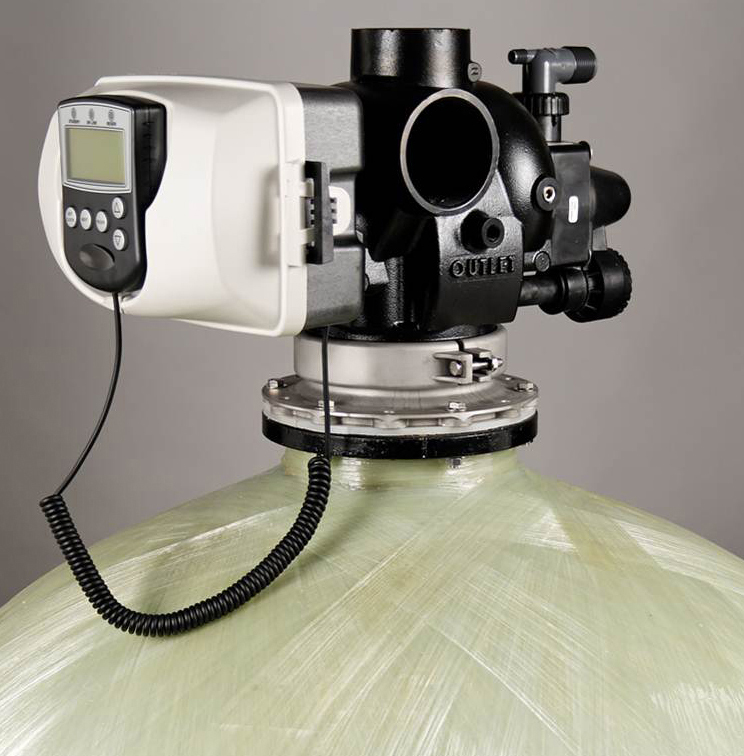 AMI Single Water Softeners with Metered Valves | Applied Membranes Inc.
Hard Water contains dissolved minerals in the form of Calcium (Ca), Magnesium (Mg), and Iron (Fe). Removal of these minerals is accomplished by softening the water through an ion exchange process using a water softener. 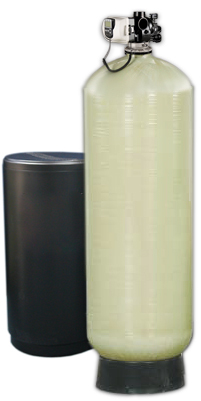 As the water flows through the mineral tank of the water softener, the dissolved minerals become attached to the resin, creating soft water. 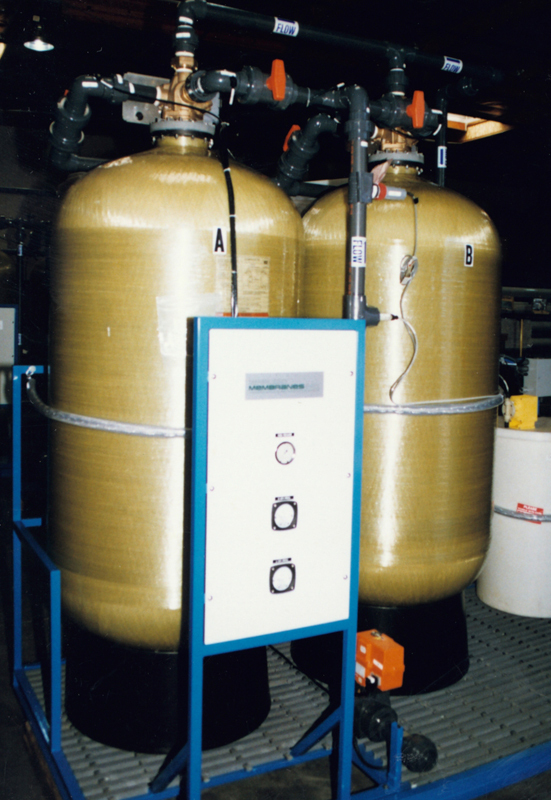 Over a period of time the resin in the water softener will become exhausted, and the water softener will regenerate using a brine solution produced from the salt in the brine tank. 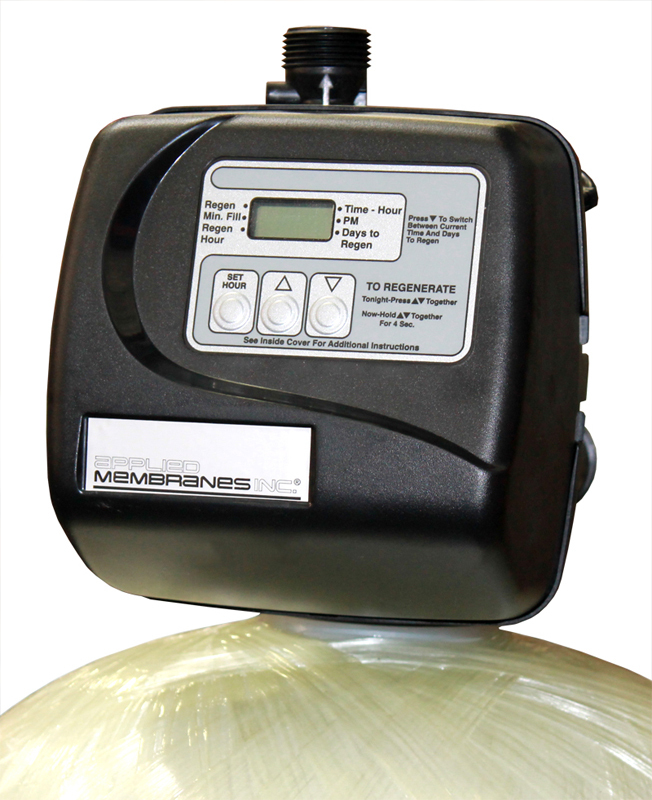 Metered Water Softeners (or Demand Water Softeners) are prompted to regenerate based on the amount of water that has passed through the unit. Like the timed softeners, these can be programmed to regenerate at a certain time of day. Instead of regenerating on a specific day as a timed softener does, the metered softener does not schedule a regeneration until the specified amount of water have passed through the softener. 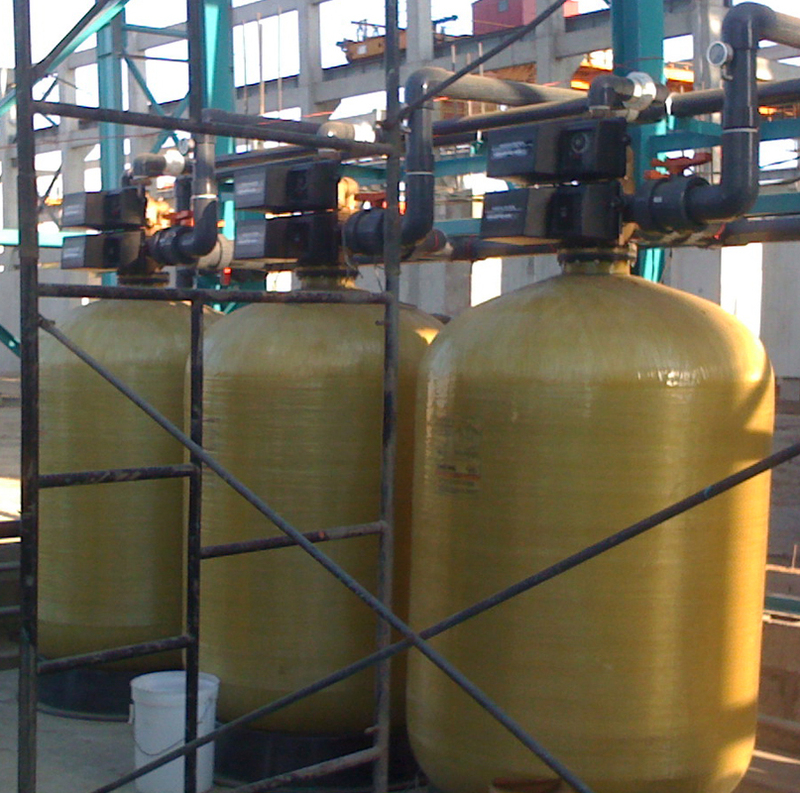 These units can save water by preventing unnecessary regenerations since it does not regenerate until the resin is near its capacity. Prolongs the Life of Water Heaters, Icemakers, Dishwashers, Coffeemakers, Plumbing Fixtures, and All Downstream Equipment. 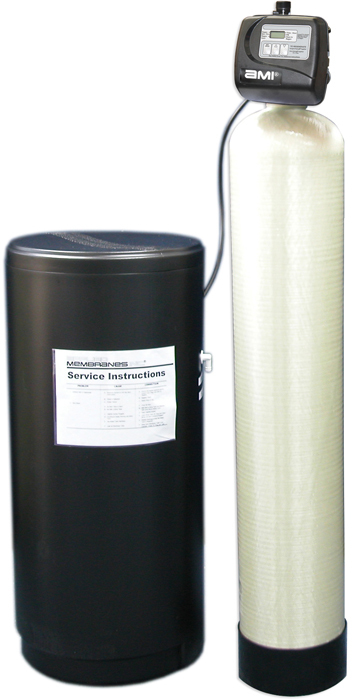 Softeners are available with USA or European style plugs and voltages. Please add the appropriate voltage code to the end of the model when ordering. 5 gpm per sq. ft. of media is the best design condition for filtration. For relatively clean water, you may go up to design criteria of 15 gpm per sq. ft. Backwash flow rate based on 25 psi pressure drop. Skid mounting, control panel and custom sizes and configurations are available upon request. 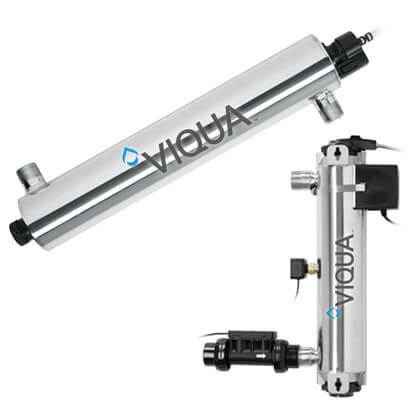 AMI Water Softeners are offered standard with new state of the art electronic programmable valves, but may be ordered with electromechanical Fleck valve heads upon request. Optional Equipment: Stainless Steel Jackets Add On. 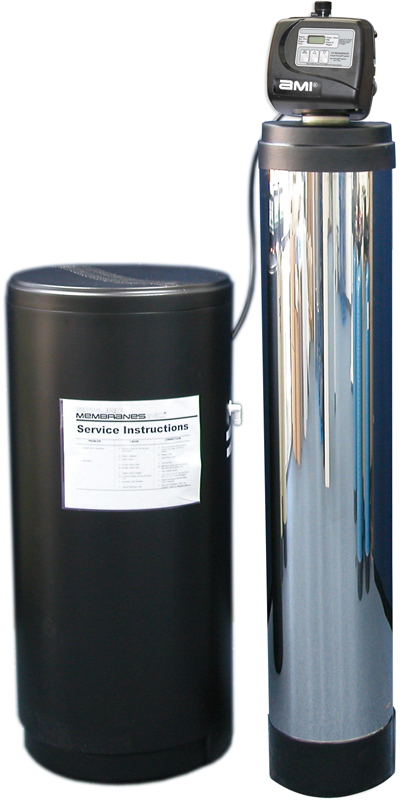 Stainless Steel Jackets are available for 9” to 16” Diameter Softeners. To include a SS jacket with your softener, please add the appropriate part number below to your RFQ or order.